After 40 years of independent operation, in July 2012 Women’s Health Concern formally became the patient arm of British Menopause Society (BMS). This merger is enabling us to develop our charitable work whilst retaining our Women’s Health Concern branding and range of services for women of all ages. 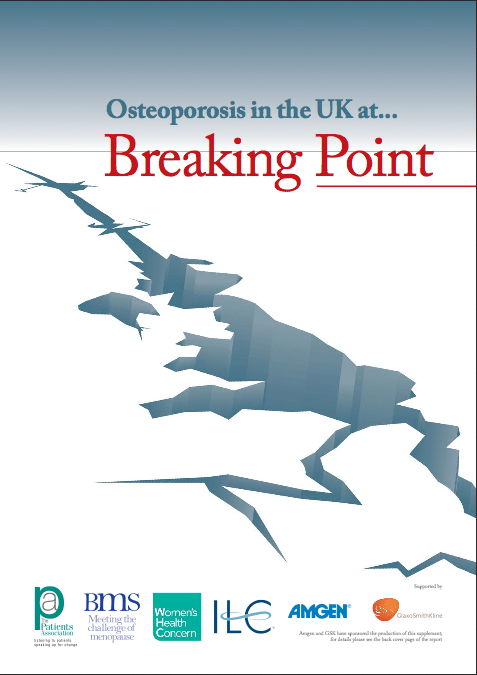 Women aged over 45 years spend more days in hospital due to osteoporosis than diabetes, heart attack or breast cancer. Download full report from this website.